Yogurt is fermented milk. Any type of milk can be made into yogurt, though cow milk is the most commonly used type in the United States. Bacteria converts the lactose in the milk to lactic acid, which then reacts with the milk protein and forces the entire substance to solidify. Sometimes, the yogurt is pasteurized to kill the bacteria but often it is not. 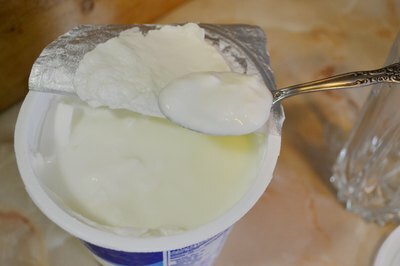 Such yogurt is said to have "live cultures." Like most dairy products, yogurt will eventually go bad after a period of time. There are a few key signs that can tip you off to its spoilage. Check the expiration date. This is not necessarily a tell-tale sign, as either opened or unopened yogurt could be spoiled or still good, especially if you have a good refrigerator and it hasn't been sitting out. Look for visual clues such as mold or fungus. You may see white, brown or green fuzzy spots in your yogurt. These are surefire indicators that your yogurt is spoiled. Don't try to pick these out or eat around it, as there are likely bits not yet visible to the eye. Smell it. 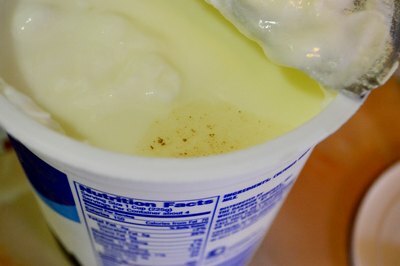 Yogurt generally has a rancid smell when it first begins to go. It may remind you of soured milk and might have a bit of an unusually runny consistency. Stir it with a spoon. If it still has the consistency of yogurt, it may still be good. If it is clumpy or looks like cottage cheese, toss it. If you taste it and it makes you gag or sick, it's probably bad even if there are no other signs. 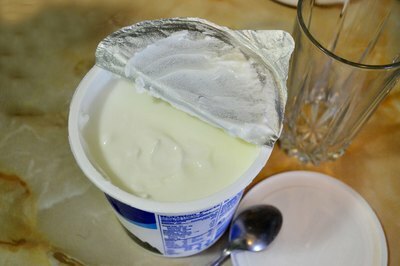 The liquid that sits on top of yogurt doesn't indicate spoilage. This is natural and can simply be stirred back in. 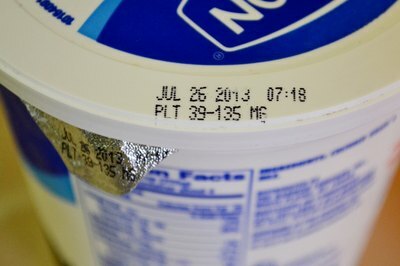 How Long Can You Keep Yogurt After Opening?